At Four Seasons Resort The Biltmore Santa Barbara, it’s hard to say which is more beautiful: the gorgeous hotel or the view looking out of it. Situated just yards from Montecito’s Butterfly Beach with consummate panoramas of the Pacific Ocean and four of the Channel Islands lining the horizon, the Forbes Travel Guide Four-Star hotel sits in a picturesque locale. Though the hotel itself is just as stunning. Built in 1927, the original coffered ceilings and saltillo floor tile in the lobby reflect the Spanish Colonial Revival design, red bougainvillea vines grow up white walls in a gracious Spanish hacienda, and red-tiled roofs and colorful Mexican tiles are everywhere. • Whether you’re looking for the best family-friendly activities at the hotel, or looking to book a romantic tour of wine country, the knowledgeable concierge is ready to help you plan the perfect day. • Be sure to book time in the resort’s Four-Star spa. Treatment rooms come with kiva fireplaces, French doors that give you a glimpse into the garden or the water, and handcrafted ceramic tiles. 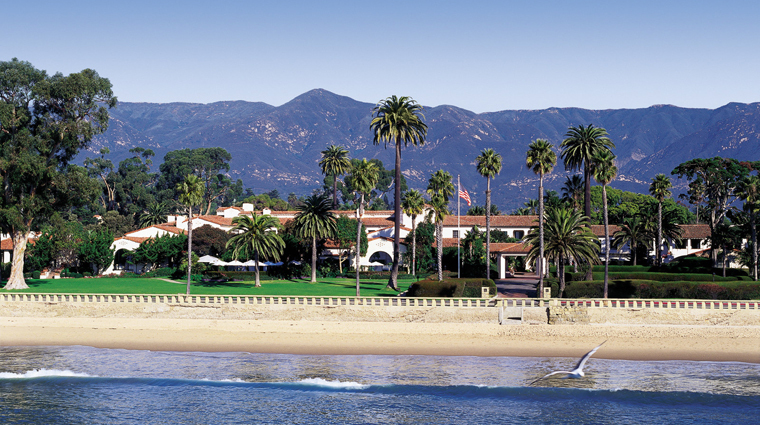 • The Santa Barbara hotel’s 22 acres are filled with 2,000 different species of lush tropical plants and palms that are featured in an hour-long garden tour offered to hotel guests on Tuesdays. 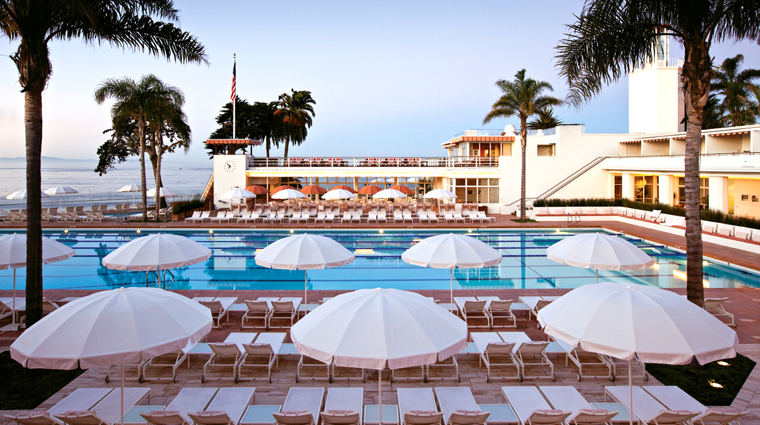 • The Four-Star resort boasts a plethora of sporty amenities including three lighted tennis courts and private volleyball lessons with two-time Olympian Todd Rogers on the beach. • Booking a Premier or Executive room affords you complimentary access to the Coral Casino Beach and Cabana Club next door, a private cabana and beach club with an Olympic-sized pool within yards of the beach and one of Santa Barbara’s best restaurants, Tydes, serving modern California cuisine. • Only one of the hotel’s restaurants, Bella Vista, is available to hotel guests without access to the exclusive Coral Casino Beach and Cabana Club, which for those booking a standard room costs $200 per day. • Be sure to visit the Ty Lounge, located adjacent to the hotel lobby, which opens at 3 p.m. daily with live music on Fridays and Saturdays and a Spanish guitar player on Wednesdays (a great mood-setter for the menu of tapas and Spanish wines). • All of the guest room beds were made specifically for the Four Seasons, and the tops are interchangeable; so you can request plush or firm for the perfect night’s sleep. 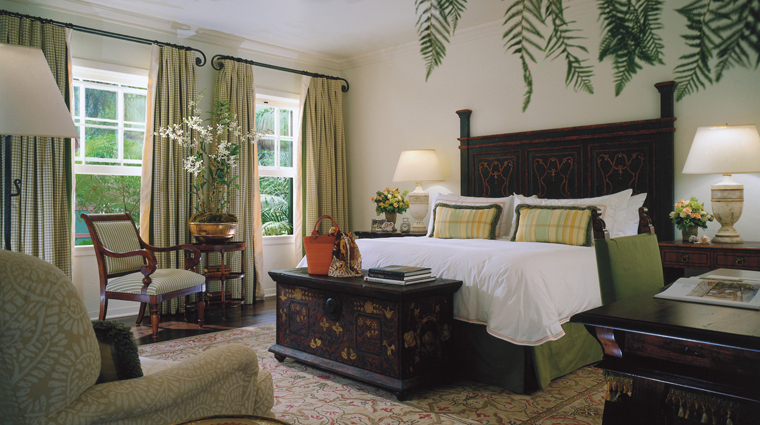 • Ranging from 350 to 2,000 square feet, all of the rooms have hand stenciling around the entrance. • Each room is different in terms of décor and color, but thematically stays true to simple, elegant furnishings; a subdued color palette of golds, greens and white; and open floor plans. • Rooms also have deep soaking tubs, while suites come with self-heating floors. • For the most spacious accommodations, opt for one of the 12 cottages, which all have wood floors. • The romance will be flowing along with the wine at the resort’s Italian restaurant Bella Vista, which features incredible ocean views, a heated outdoor terrace, marble and mahogany décor and fireplaces. • Bella Vista has the distinction of being one of only 12 restaurants in California (the only one in Santa Barbara) licensed to cure its own meats and the shared charcuterie plate is the most popular appetizer on the menu. • On Thursday nights, Bella Vista offers a top-notch crudo bar featuring shucked oysters, shrimp and scallops at sunset. • Be sure to make time to enjoy the buffet brunch on Sundays at Bella Vista. The gourmet spread features incredible displays of seafood, caviar, charcuterie and sushi alongside carving stations and made to order omelets and, of course, decadant desserts. • Located inside the Coral Casino Beach and Cabana Club, Tydes offers local seafood with Mediterranean flavors and fresh, seasonal preparations to resort guests and club members only, making for an exclusive affair.